24/7 Wrecker Service You Can Trust! 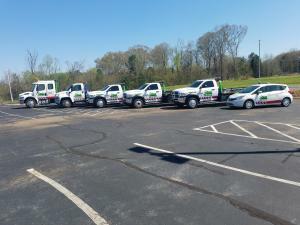 Chad Stevens Wrecker Inc. in Bentonia, MS offers fast light dutyChad Chadand medium duty wrecker services 24/7 at competitive rates for all of Central Mississippi, including Hinds County, Madison County, Rankin County and beyond. When your car breaks down, you need a company you can trust to arrive quickly and provide the help you need effectively. We also provide fast and reliable roadside assistance too whenever you need us. What makes us different from other wrecker services? We also provide dependable auto repair and body work for cars, trucks and SUVs. We can buy or sell junk cars for salvage as well, so we do it all! We will always do our utmost to get a tow truck to you as quickly as possible, and tow your car wherever you need it in the Bentonia, MS area. Our goal is to minimize your hassles and get you back on the road as quickly as we can. Call 662-755-8645 to Learn More! Visit Chad Stevens Wrecker and Salvage Today!